stress out? bad mood? c’mon~ don’t get them drive you too long. why don’t you go hang out with your friend?hunting food may be? i’m sure it will be much more fun than baby sit, day dreaming or perhaps crying silently while listening ballad songs in your room? #curcol, eh? 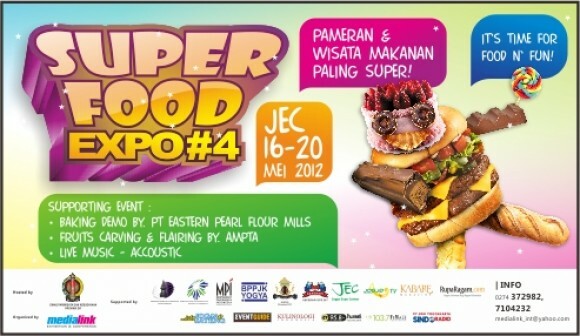 nah, back to topic now i want to inform you guys, this event is super food expo #4. super food expo is some kind of food festival. 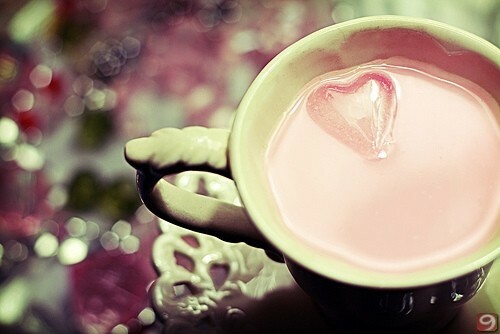 here you can find so many kinds of food with varieties of price too of course. this event will be held from 16th to 20th june 2012 and take place at JEC yogyakarta. really, i’m sure you don’t want to miss this event. this event may be held only once a year, so why you want to miss this event. this event also has supporting event such as baking demo, fruit carving, live music, accoustic etc and when they held the baking demo, you can taste them too~ it’s sounds fun huh?well, the fact is it is really fun. looking for something sweets, sour, or may be spicy? this is the right place. so what are you waiting for? joint me, and all people here at super food expo #4 at JEC yogyakarta. it’s time for food and fun! !